Sprout just announced the launch of a new program called Mom is Here. It encourages moms to take pictures of themselves with their kids, in the middle of those everyday moments that seem to fly by. Now, I typically NEVER post about things like this but JUST YESTERDAY I was asked by a brand to send them a picture of me and Caleb and I couldn’t!! I didn’t have any recent ones to send. All I do is take pictures of Caleb doing things on his own. I’m not in any of them anymore! And honestly… that’s just so SAD! So, I thought that this initiative would be a great call to action to all moms as a reminder to get in those shots! Sure, those solo pictures are absolutely adorable – but it’s nice to have some pictures of mom and baby as well. We will be working on that this afternoon. LOL!! Photos can be uploaded via Instagram (#momishere), or on Sprout’s Facebook page, and will have the opportunity to be featured in a Sprout commercial. Mom is Here runs through April 27, and the Sprout commercial will air on May 9 leading into Mother’s Day Weekend. 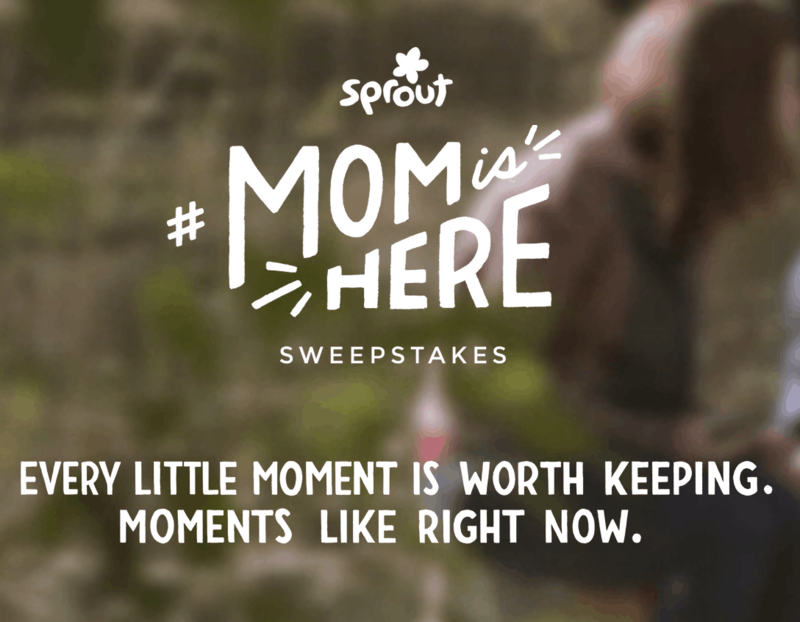 Eleven moms (one grand prize winner and 10 first prize winners) will be randomly selected to see their pictures featured in a 60-second commercial spot, premiering on Sprout on Friday, May 9. Their photos will also be displayed on the G-Tron in New York’s Times Square. All 10 first prize winners will receive Spafinder gift cards, and the grand prize winner will win a $1,500 Spafinder gift card and spa package.